Corsair announced the F60, F120, and F240 additions to its Force Series SSDs. The new drives comes in 60GB, 120GB, and 240GB and will be available next month. 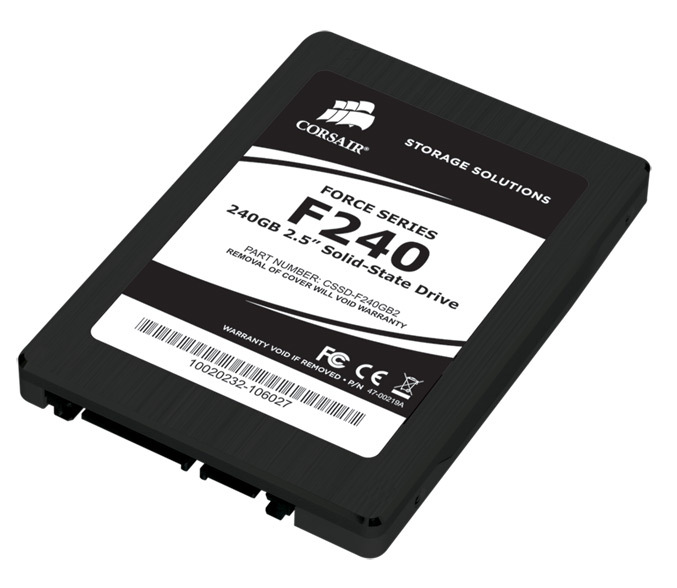 All Corsair Force Series SSDs are in 2.5″ form factor, powered by Sandforce SF-1200 SSD Processors, support the maximum 285MB/s read and 275MB/s write speeds, has SATA 3.0 interface, TRIM support, Latest generation Sandforce controller and MLC NAND flash for fast performance, TRIM support, and over 1,000,000 hours mean time between failures.